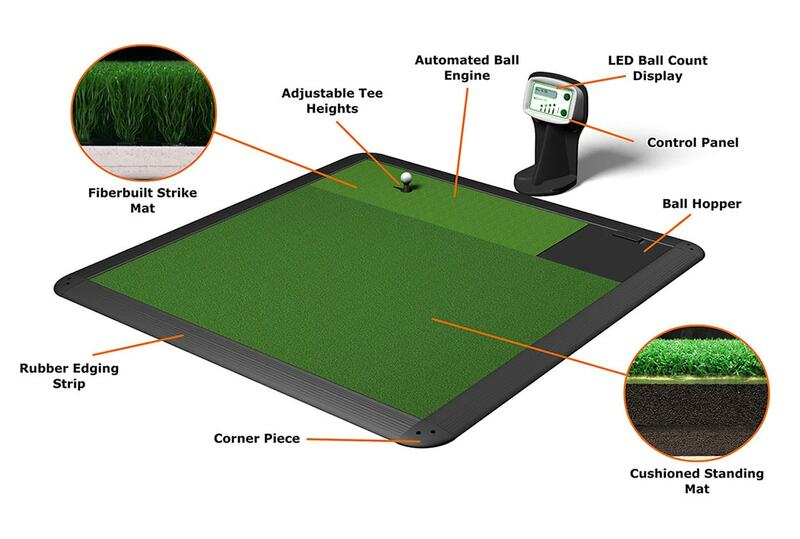 Power Tee is the world's premier automated teeing system. Featuring patented technology perfected over years of engineering, Power Tee ensures a perfectly, automatically teed ball every time you swing. 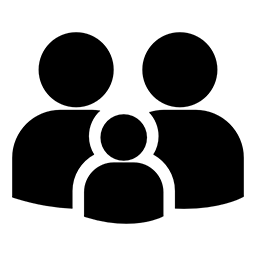 We're endorsed by the 2018 Team USA Ryder Cup Captain Jim Furyk, 2018 Team Europe Ryder Cup Captain Thomas Bjorn, and Mitchell Spearman, elite golf instructor to many PGA professionals. 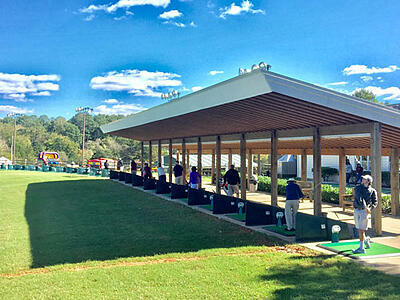 Power Tee workstations are currently in 400+ ranges in 18 countries, teeing up more than 6 million balls each day. How does Power Tee work? To start, load up to 100 balls in the hopper. The ball will pop up on the tee automatically after loading. The tee has up to 40 adjustable tee heights (4 standard). To adjust the height, touch the lower button on the control panel. To adjust the height millimeter by millimeter, hold down the lower button. 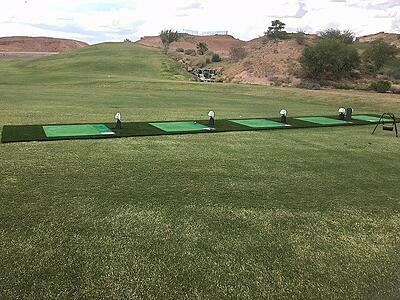 The adjustable tee heights mean there is always a tee height perfect for the club you are practicing with. 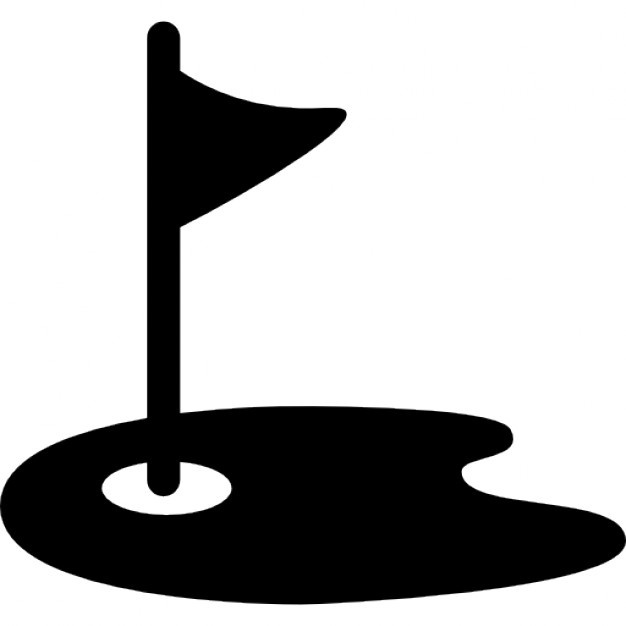 The Fiberbuilt Strike Mat and the cushioned standing mat are the highest quality golf mats in the industry, ensuring a comfortable experience. See more videos on how to use Power Tee here. Power Tee is not just a tool to prevent bending over between swings. 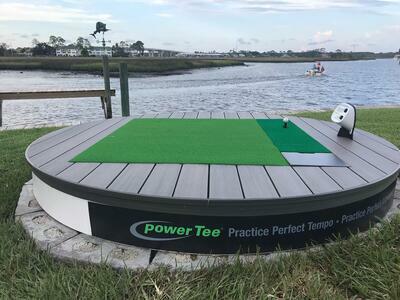 The Power Tee practice system helps golfers of all ages and skill levels by providing a consistent experience with a solid - and proven - product used worldwide. Power Tee units are installed at St. Andrews, The Belfry, Celtic Manor, Le Golf National (2018 Ryder Cup host) and many other prestigious locations around the world. 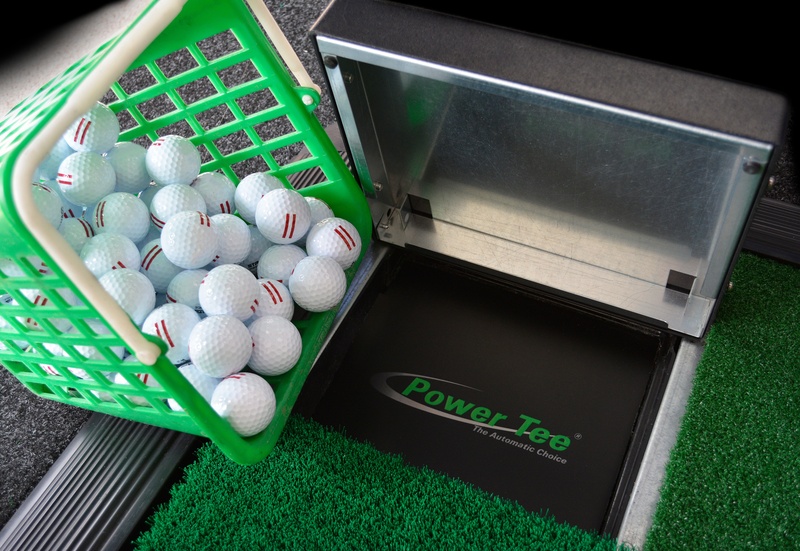 Whether you’re trying to practice and improve your swing, reduce your handicap, play with your family, or just have fun, Power Tee is the perfect addition to your golf club, your driving range, or your home. A stable environment allows beginners to enjoy swinging a club and hitting some rewarding shots- this makes for a more engaging golf experience! $4,500 for home use Power Tee. Shipping will be quoted based on location. We offer self-installation and custom installation. To learn more about these options and pricing, visit our Shop page. Increase your profits, beautify your range, and attract new demographics of customers like never before. For a 1¢ increase per ball, get Power Tee for your range. Practice is essential, and your members deserve the best. Give them the ultimate practice tool with Power Tee. For just $1 per member per month, get Power Tee for your golf and country club.